Last Saturday night this Volkswagen camper was stolen from the West Drayton area of Middlesex, UK. The van belonged to Martin Blake (@hairyblake). Martin was interviewed by his local newspaper and said, "There was no broken glass. All that we found was a bolt, where they had undone the handbrake or something. "My wife uses it every day, and we took it on holidays and weekend trips. We have a camping trip booked later this summer which we'll have to cancel. It is our only car at the end of the day, but we are gutted." 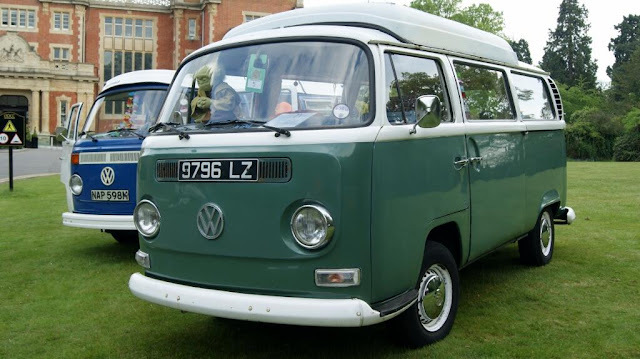 Martin is asking people to retweet his appeal to help find his VW camper. If you've seen the camper, registration 9796 LZ, please get in touch with Martin via Twitter.